Today’s Tasty Tuesday takes us to Snoopy’s! This local chain was started right here in Raleigh, North Carolina in 1978 by founder Steve Webb after he converted a run-down gas station to the small chain’s first location. Since then, Snoopy’s has grown to five locations, four of which are in Raleigh. With a menu full of American classics, you’re bound to find a tasty meal when you stop by. I visited the location between Meredith College and NC State, which has been serving hungry college students since 2004. When I arrived, a friendly employee took my order at the window. 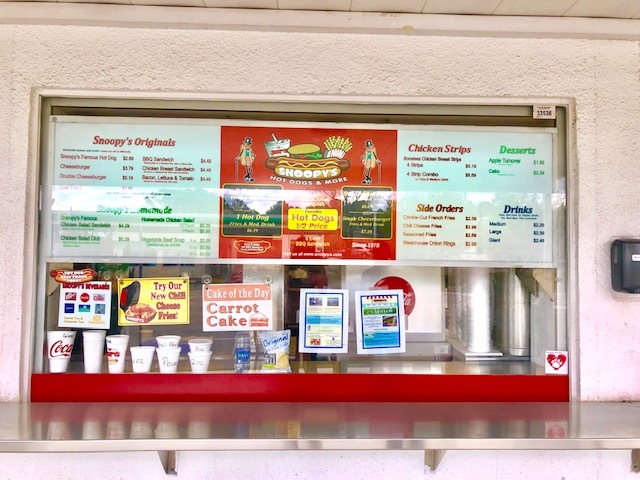 The menu has an array of options for every customer to choose from - hotdogs, hamburgers, sandwiches, soups, salads and, of course, fries. They even offer a “Cake of the Day,” which is sold by the slice. After skimming the menu, I ordered a Snoopy’s original hotdog with mustard and seasoned fries. My order number was called with hardly any wait time. The fries were crispy, while the hotdog was cooked to perfection with a sweet and spicy tang from the mustard. Although there weren’t any tables to eat my food at, there was a bench to sit and enjoy the warm spring weather. As I was leaving, I noticed a painting on the side of the building showing the J.S. 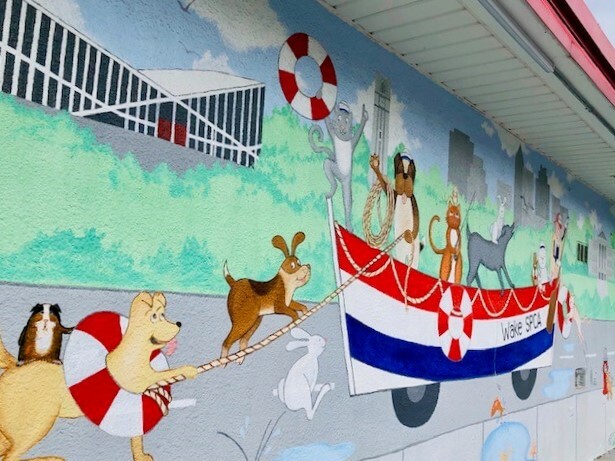 Dorton Arena and Downtown Raleigh, as well as promoting the Wake County ASPCA, which Snoopy's is a proud supporter of. 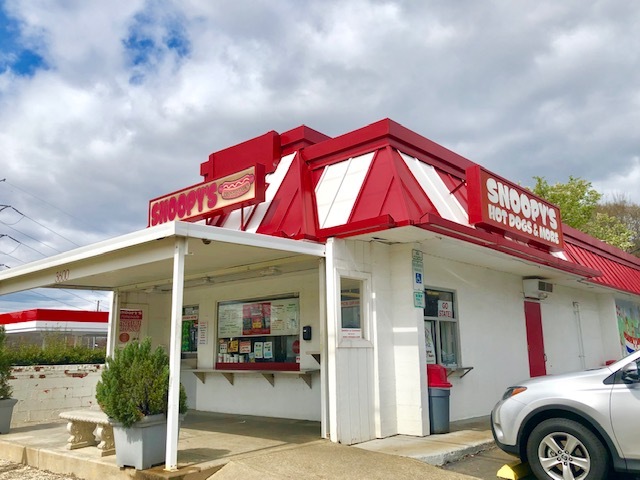 The next time you’re unsure where to stop for a quick bite to eat, stop by Snoopy’s! There’s fast, friendly service and delicious food. Your stomach won’t be disappointed!